Time for a new water heater? A three day event in the Netherlands concluded the annual A.O. Smith golf tournament. After half a day spent touring A.O. 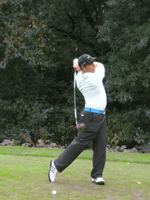 Smith’s European manufacturing headquarters in Veldhoven, players spent two days competing in the competition held at the nearby championship parkland course at Gendersteyn in Holland. The majority of players were consultants or contractors, all of whom had qualified from the 18 regional events held earlier in the year in the UK. The winner of the challenge cup was Gordon Brown from Arup Glasgow, who was one of the qualifiers from the regional UK events. 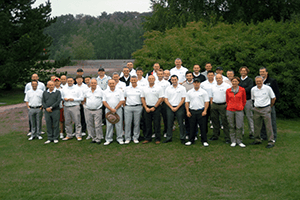 In addition eight customers were invited to compete in the customer cup which was won by Laurie Taylor from RPS Group in Birmingham. Laurie also won the longest drive competition, andDave Maun from Kinetic Engineers Ltd. achieved nearest the pin with his drive. Staff from A.O. 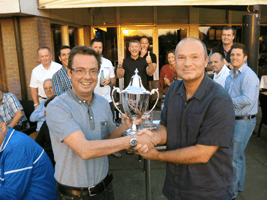 Smith competed for a company cup which was won by European Managing Director Ton van der Hamsvoort. No handicap is required to enter the tournament, which is open to A.O. Smith customers and others in the trade. The regional events offer an excellent opportunity to network with key people in the industry whilst enjoying golf in some of the best locations in the UK. ©2019, A.O. Smith Water Products Company B.V. All Rights Reserved. Download the terms and conditions. A.O. Smith reserves the right to make product changes or improvements at any time without notice.